A Stunning Living Room Update! Many interior floor plans suffer from no separate foyer. So visitors walk right into a room, which can be a bit jarring to my delicate sensibilities. But with the simple addition of a mat at the door and a substantial plant atop a pedestal, a transition space has been created here. There's also a pretty desk over on the left (you can't see it, sorry), which adds to the welcoming vibe. And I want you to notice the beautiful drapery panels, which Talented Homeowner made herself. As I turned to enter this freshly furnished Living Room, I first noticed those matching velvety soft club chairs, upholstered in a neutral fabric. What a nice choice. And the new wool rug, in a Tree Of Life pattern, is exquisite. I'm not exaggerating--my iPhone photo does not do it justice. It came from NOA Living, a wonderful rug and decor store in Raleigh. The custom built in bookcase is a showstopper. Previously it was a little haphazard and now it's thoughtfully arranged. It doesn't look like a store display--it looks like people who love books and travels and special mementos live here. The new sofa has a tight back, single seat cushion (never looks messy) and pretty legs. I'll bet you're wondering where the coffee table is - they didn't want one. Isn't that awesome? Now I love (and need) a coffee table to be happy. But these clients did what felt best to them. Fabulous! Please don't ever forget to pay attention to lighting in a room. Great lighting makes a lovely room useful, friendly, warm and inviting. Go for 3 way switches, go for pretty lampshades, go for finials. Do it up right. These gourd lamps are perfect for the space. Talented Homeowner made the custom accent pillows in the room. They are squishy delights. The framed art on the wall are hung at eye level - perfect. I'm so glad that my 2 hour design consultation gave this client the right amount of ideas and resources to go full steam ahead and make the changes she did. The other day she contacted me to report that she had used one of my suggestions in her daughter's apartment - the ripple effect! Great job! Tagged: Chapel Hill, Durham, Family Room, front parlor, interior design consultation, interior design Raleigh Durham Chapel Hill Apex Morrisville, library, Raleigh, sitting room, updates feel good! This is where I post updates on design projects, pass along decorating tips and talk about the magical moments in life. All the photos are of my own work, unless I note otherwise. Life is good, but also very busy with lots of pressure. What keeps me sane are daily walks with the dog, taking photos with the iPhone and eating more than my share of dark chocolate. My favorite seat is in a kayak! Some of the links in my posts are affiliate links. This means I will earn a commission at NO additional cost to you if you choose to make a purchase. I only share links to products and information that I think will be useful to you. My highest priorities are always to maintain integrity and trust. 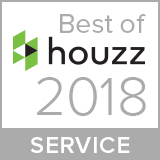 Best of Houzz since 2012! The Pillar Life - love these women and everything on their site! Subscribe to their podcast but also go to the website and click on the Kitchen tab for delicious recipes. Dax Shepard’s podcast, The Armchair Expert. Warning - lots of naughty language, but very entertaining. This American Life - who doesn’t love Ira Glass? His stories teach me something new every time. The Moth - the art and craft of storytelling. 3 stories in an hour! The Hidden Brain - combines science with storytelling. SO good! Does your home make you smile? Get it free - "How To Hang Your Art Like A Pro!" Do you have much-loved art and treasures hiding in closets? Let me show you where and how to put them up on your walls to create a home that makes you smile. Subscribe here to get a copy of my fab digital guide and updates when I post on the blog. We respect your privacy. Your email will never EVER be shared. Thank you! Check your inbox - your guide is on it’s way!